Mai and Takumi are first seen on a ferry boat on their way to Fuuka Academy, which is a new school for them. Takumi sees something in the water, and it turns out to be a girl named Mikoto Minagi, a girl who nearly drowned, and Mai performs CPR on her. Later on, the ferry is under attack by Natsuki Kuga who is looking for Mikoto, and the ferry is destroyed by Natsuki's and Mikoto's battle. Takumi and Shiho Munakata are separated from Yuuichi Tate and Mai, until she arrives unexpectedly on the school grounds the next morning. He suffers from a heart condition he and has to take tablets that he always carries around. When they were children Mai was supposed to watch Takumi, but instead went off to play with a friend. Takumi went into a river, and being unable to swim, his mother had to rescue him, which caused her to be hospitalized and later die. Takumi is placed in the Middle School, and is assigned to be roommates with Akira Okuzaki, the most popular boy in their class (who is, in fact, a girl hiding her true gender). Akira initially avoids Takumi, but later begins to like Takumi as a close friend and possible love interest. Akira has a part in helping Takumi make a cake for Mai's birthday in episode 10, and after an Orphan attacks Takumi, a disguised Akira appears and slays the Orphan. Takumi asks if the ninja is Akira, who denies it, despite the obviousness of the situation. Later on, Takumi discovers Akira is really a girl, and she threatens to kill him. He is involved with the battle of the HiMEs, since he is Akira's Most Important Person; this causes his death when Akira's Child, Gennai, is defeated by Mikoto (this is an ironic point in the show, as Mikoto only killed Gennai in order to protect Mai; this causes Mai great trauma upon her brother's death). 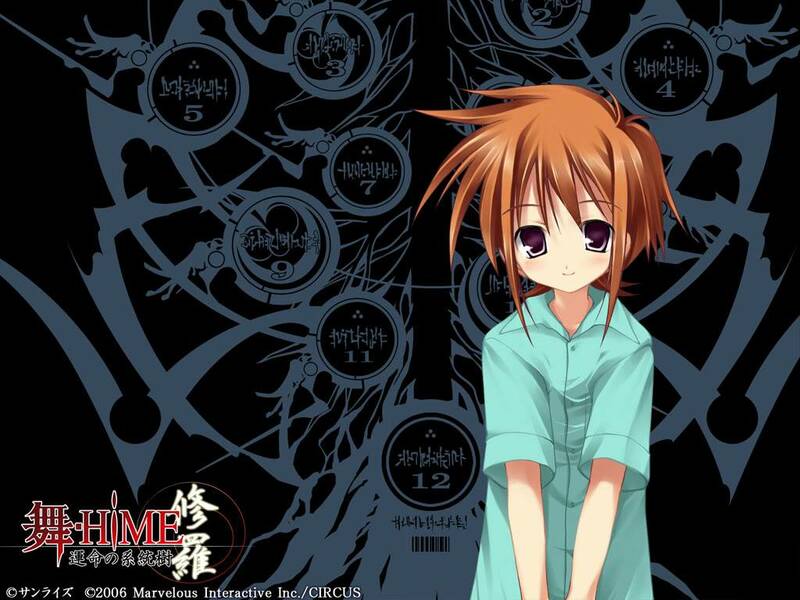 Takumi is revived with the other HiME and other people who evaporated by Mashiro Kazahana at the end of the series. He also is with Akira in America, getting a heart transplant and sends a letter to Mai saying that he is okay and that he'll be back before the vacations ends.